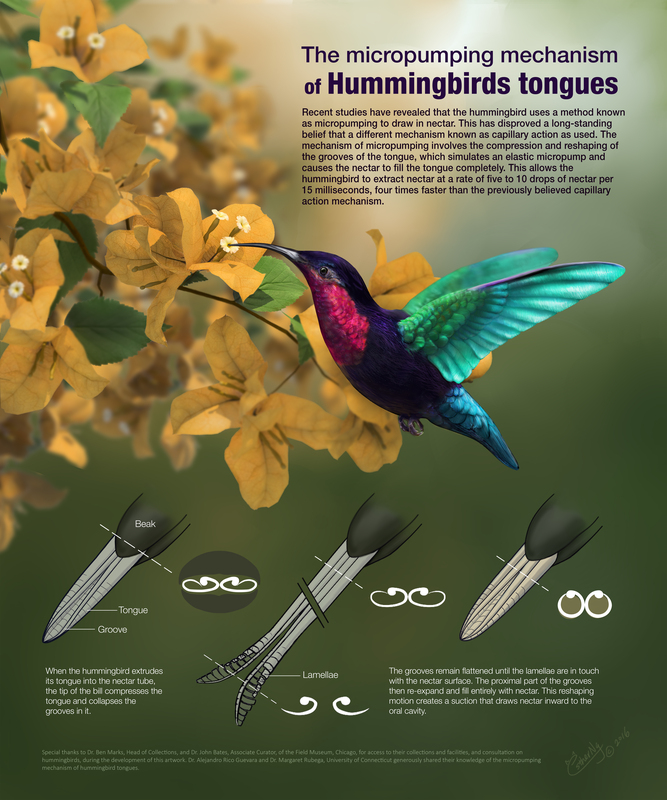 created this beautiful poster on how the hummingbird's tongue works. You can find her prizewinning poster along with those of other Vizzies on the National Science Foundation’s website. Now seems a good time to announce the winners of our little competition. Congratulations to Jeff and Jess on two tickets to the taste of science events of your choice! The rest of you can still get you tickets by heading to: tasteofscience.org. Speaking of taste of science, this week’s musical offering comes from Swearwords featuring Katie Long, our city coordinator for our Chicago events. Find more of their tunes on their Bandcamp page. Sadly friends, this is our season finale so we hope you’ve enjoyed the ride. We’ll be on the road again soon to record some more great podcasts for next year. If in the meanwhile you feel you can support us by becoming a patron, we would be eternally grateful. If not, just remember to subscribe so you won’t miss our future releases.